3 What Is White Squash? 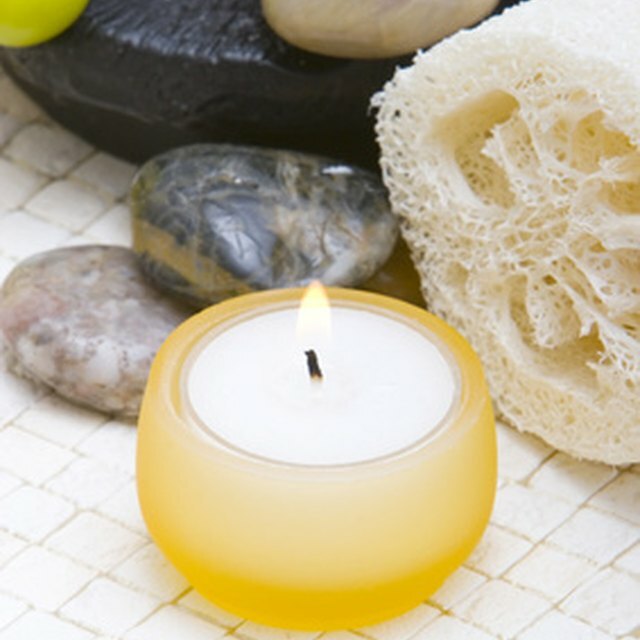 Visit almost any spa, and you’re sure to see loofah sponges used for exfoliation of the skin. But did you know you can make these yourself, with help from Mother Nature? These hard-working natural sponges come from fibrous loofah (also spelled loofa, loufa or luffa), gourds that grow in almost any home garden. Dry them, remove the skin and seeds, and you’ll have useful sponges for family and friends. Loofah gourds require plenty of sunlight, water and sturdy support such as a heavy-duty trellis or chain-link fence. Obtain seeds at your local nursery or online and plant them 1 inch deep, thinning to 2 feet apart when they have a couple of leaves. The longer the growing season, the more gourds can mature—the average time to maturity is about 130 days. Start them inside, if desired, about 4 to 6 weeks before the last frost. Water well during periods of little rain, and keep the gourds off of the ground. Let them dry on the vine until the skins begin to turn from green to brown, preferably until the first Fall frost. After this, harvest them immediately, and hang until completely dry. Now comes the fun part: Remove the skins. The best way to do this is to throw the gourd as hard as you can onto a hard surface, such as a paved driveway, to break the skin. If the gourd is dry, its skin should peel off fairly easily, revealing a tough interior of interlocking fibers and seeds. If the gourd you have thrown breaks completely, it was not mature enough to make a good sponge. Remove the seeds by hitting and shaking the dry loofah. (Save the largest, darkest seeds to plant next year, storing them in a sealed container in the refrigerator or freezer.) To remove any lingering seeds and pulp, shoot water from a hose with a pressure nozzle into the gourd. This also removes most discoloration caused by dark spots on the skin. To give your loofahs an almost-white appearance, soak them in a mild solution of bleach and water for 30 minutes or so. Longer soaking weakens the fibers. Depending on the variety, loofah sponges range from long and narrow to short and thick. Use sponges full-size or cut them in shorter, easier-to-hold lengths using an electric or serrated knife for best results. In spas, you’ll often see thin lengthwise slices of loofah attached to gloves (for exfoliating) or to a handle (for hard-to-reach areas such as the back). Many soapmaking hobbyists slice the loofah into crosswise rounds, place each slice in a mold, and then pour soap around it to create gift soaps with sponges already inside. Coarser sponges are ideal for scrubbing pots, tires, and outdoor furniture; again, cut them to a manageable size. To prolong the life of loofah sponges, let them dry between uses. At the first sign of mildew or a sour smell, soak them for no more than 5 minutes in another mild bleach solution. Typically, they last for many months before you’ll need to replace them. A professional writer since 1978, Shelley Stewart attended Emory University and the University of Alabama. Her work has appeared in "Southern Living," "Creative Home," "Do-It-Yourself," "Kitchen Makeovers," and "Beautiful Southern Homes." Books include "Color Schemes Made Easy," "Great Traditional Style," "Decorating Small Spaces," and "Decorative Lighting." Having written a home-improvement blog called the Dollar-Wise Diva, she now writes for several websites. What Plant Do Caraway Seeds Come From?